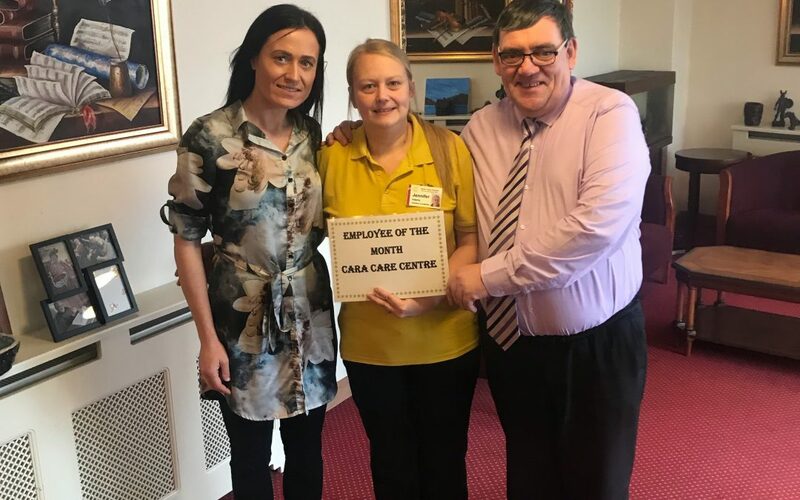 TLC Cara Care are delighted to announce Jenny Adams as our January 2019 Employee of the Month. Jenny joined us over 4 years ago as a Health Cara Assistant and then worked her way up to Senior Health Care Assistant before moving into her current role as Activities Coordinator. Jenny has two beautiful daughters and enjoys spending her free time with her family. Jenny’s motto is – “Enjoy every day”. Jenny is a hard worker, who is very much loved by residents, staff, families and management. She always comes in with a big smile on her face, spreading happiness and positivity around. There is nothing that Jenny wouldn’t be able to assist with. Always helpful, energetic, full of ideas and motivation. We are very lucky to have Jenny on our team.